Imagine, it took former Governor Lincoln Almond two years to decide on what to do with this building, and in the end, he made the wrong decision. He had to choose between two proposals. One from a California movie producer & one from local film director & producer Michael Corrente. Almond made the wrong choice & selected Corrente who, as it turns out, didn’t have the financial backing for such a huge project. So there it sits, home to boxes of state archives. 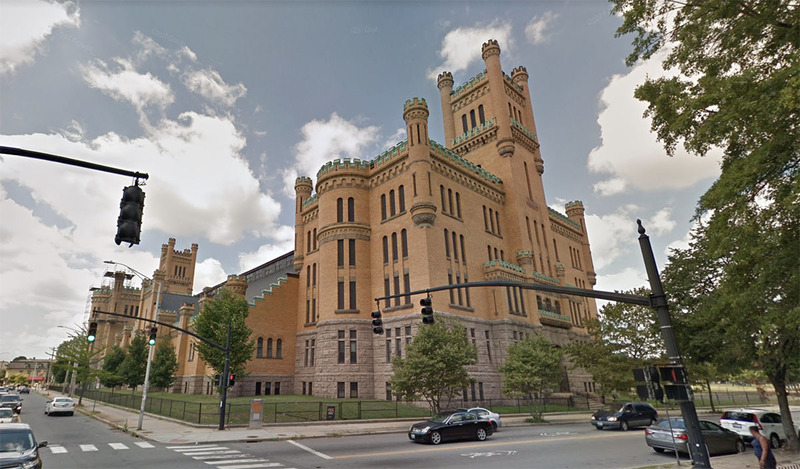 No one will ever be able to figure out how to float the good ship Cranston Street Armory without a sea of parking. No one except the people who are fighting to again make Providence a city where it is normal and convenient to travel about by means other than automobile. When that happens, the Superman building and a lot of other problems will also solve themselves.